Whether you're lounging around your superyacht pool or retreating for some peace and quiet in your owner's cabin, no Mediterranean superyacht vacation is complete without a great book. From the latest thrillers to this year's most talked about new novels, our pick of the best has something for every literary taste. Madeline and Harry Winslow are the quintessential New York couple: he is a Yale graduate and an award-winning author, she is the perfect party host. The Winslows are beautiful, sophisticated and completely besotted with one another. They spend their summers in Maddy’s idyllic house in the East Hamptons, drinking martinis and entertaining their friends from the city. Their lives could not be more perfect. That is until, one balmy evening a beautiful younger woman attends one of the Winslow’s parties. Bored with her bland lover, Claire turns her vivacious attention to Maddy and Harry. Over the summer, Claire’s admiration of the golden couple turns into something darker and their charmed life begins to fall apart. With a nod towards The Great Gatsby and a touch of The Secret History, this gripping novel of love, lust, betrayal and deception shows the risks that come with having it all but still wanting more. 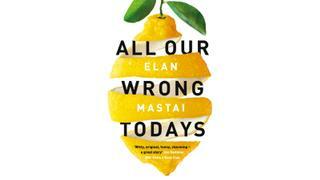 Elan Mastai’s debut novel is set in a utopian paradise, where technology has solved all of humanity’s problems, from flying cars to moving pavements. Despite the seemingly perfect world that surrounds him, however, the protagonist Tom Barren is lonely and can’t find his place is this dazzling, idealistic new world. And what do you do if you are lonely and conveniently have a time machine? Something stupid. Tom’s dabble in time travel finds him in an alternative reality that is far less perfect than his own. However, as he adjusts to his new surroundings, he begins to see the draw of this imperfect world. He then faces the ultimate decision: will he go back to his old life or stay in his new one and risk changing the future of mankind? All Our Wrong Todays looks at this clichéd conundrum in a new, more exciting way, making it a thought provoking read you won’t be able to put down. 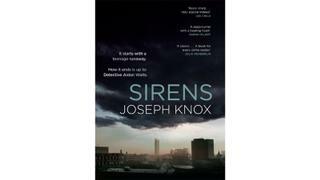 Aiden Watts is a disgraced junior detective caught stealing drugs from case evidence. As punishment Watts is blackmailed into going under cover to solve the mystery of a runaway teenage girl. As he gets deeper and deeper into the case, Watts finds himself entangled in a web of lies and deception involving politicians, police and dangerous drug lords. Sirens is a smart, gritty and unforgettable novel, a throwback to classic noir fiction that is sure to have you transfixed. This novel follows the story of the dysfunctional Posts, an American family who plan to escape the tensions of their home in Manhattan with a two-week break on an idyllic Spanish island. Sunlit mountains, beautiful beaches and tapas washed down with sangria may sound like the perfect holiday but all doesn’t go to plan. The simmering tensions that the family hoped to leave back in New York eventually come to the boil and the family are forced to face their issues head on. 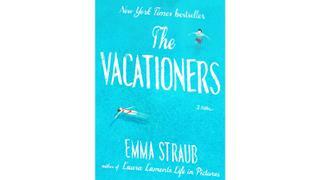 Fresh, witty and honest, The Vacationers is a magnificent novel of marriage, friendship, betrayal and loyalty. 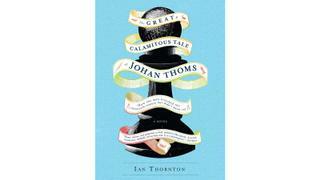 It’s light but thought provoking - ideal for lazy afternoons relaxing on deck. This riveting novel tells the story of promising student, Johan Thoms, whose life is changed forever when he offers to be chauffer to Franz Ferdinand on the morning of June 28, 1914. Too ashamed to face the part he played in the deaths of the Archduke and his wife, Thoms flees Sarajevo and begins a journey across Europe. What follows is a captivating story that will have you enthralled from the very first page. At the heart of the O’Farrell’s story are the eccentric characters of Daniel and Claudette, both of whom are unhappy in their floundering marriage. O’Farrell constantly alternates narrator and shifts timelines to trace back the lives of this unusual couple and untangle the point where their problems began. 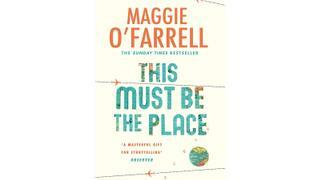 This Must Be The Place is an unconventional love story that perfectly captures this complex, extraordinary marriage. 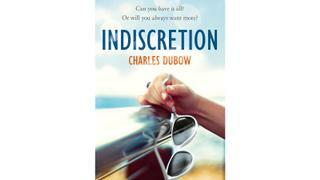 A self-indulgent read that you will race through in a long weekend on board your superyacht.